Peace of mind is reliable power when you need it. By adding battery storage to your solar installation, you can power your home around the clock with clean, renewable electricity. 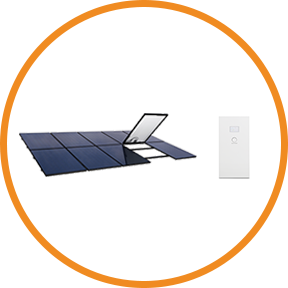 Harness the most efficient solar on the market* any time—day or night. *. SunPower 360W compared to a Conventional Panel on same sized arrays (260W, 16% efficient, approx. 1.6 m2), 4% more energy per watt (based on 3pty module characterization and PVSim), 0.75%/yr slower degradation (Campeau, Z. et al. “SunPower Module Degradation Rate,” SunPower white paper, 2013). *. "Essential Appliances” are determined by the homeowner before installation and typically include lights, select appliances and devices. The battery storage system should not be relied upon as a power source for critical medical devices. The life of the battery storage system will vary depending on a number of factors, including, but not limited to: the amount of energy stored in the battery, the amount of wattage used by the appliances and electronics connected to the battery storage system, the age of the battery, the battery’s ability. Use solar energy generated during the day to offset evening usage. Don’t let bad weather, rolling blackouts or unexpected outages put your life on hold. 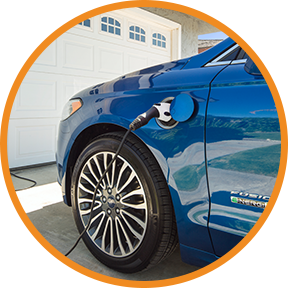 SunPower solutions make energy independence a reality. By adding battery storage to your solar system, you control how much energy is saved and when it’s used—so your lights stay on, your phones can charge and your refrigerator stays cold. 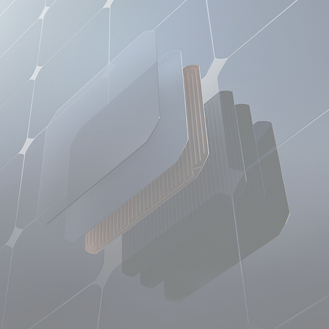 SunPower® EquinoxTM system generates up to 60% more energy in the same space over 25 years* and sends it to the battery, which stores the energy for later use. Intelligent software automatically manages which power source is used (grid or battery) in order to maximize the use of solar energy. *. “Essential Appliances” are determined by the homeowner before installation and typically include lights, select appliances and devices. The battery storage system should not be relied upon as a power source for critical medical devices. The life of the battery storage system will vary depending on a number of factors, including, but not limited to: the amount of energy stored in the battery, the amount of wattage used by the appliances and electronics connected to the battery storage system, the age of the battery, the battery’s ability to recharge during daylight hours due to weather, the frequency and duration of battery usage, and other factors. Battery life will decrease with time and use. Gain your energy independence with solar and battery storage. How Do Home Solar Batteries Work? What does a battery storage system look like? A battery storage system for a home generally looks like a small fridge or hot water system. The battery system is typically installed in your garage or outside of your home. Similar to your mobile phone, battery storage collects electrical energy, which can then be used at a later time. One of the common uses for battery storage in a home is to charge the battery from your solar system and use that energy to power the most important or essential devices* if power from the grid is out. Storing solar energy during the day and consuming that energy later in the evening, after the sun sets. 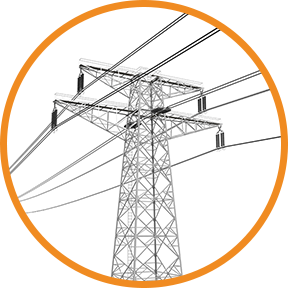 Providing backup power to essential devices* if the power or grid goes out. No. This solar battery storage solution is designed to store energy which can provide electricity during the nighttime hours and backup power for essential devices during outages. However, you will still be connected to the grid. Use our calculator to help you decide how many batteries are appropriate for your needs. The battery storage system needs an Internet connection to ensure you can monitor the usage on your mobile app and to update battery software. With a temporary loss of communication, the battery will continue to operate. Your battery storage system should not be installed in location without Internet or cellular service. Do I need to program the battery? No. Your installer will establish the appropriate baseline settings. The battery storage software will operate the system automatically based on your settings. You can use the mobile app to update the settings, if you change your mind.